This isn’t a post about climbing the corporate ladder or swearing fealty to those further up it than you are. This is a post about software, integration, innovation and evolution. 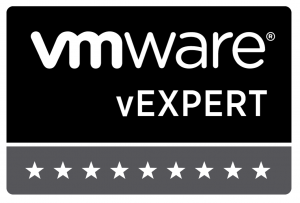 I was privileged last week to find myself in a discussion about “Enterprise Management” alongside a handful of Virtualisation experts and two people who were very much in the know from VMware. Two hours simply wasn’t enough, I want more! (My wife describes such events as “Geek Heaven”.) What follows are some of the thoughts that being a part of the discussion has helped me to extract from my head. Virtualisation Management has been on my mind for some time now. Only last month I mentioned this (see here) and that vCenter needs a decent overhaul. I’m not alone in thinking this (see Julian Wood’s excellent article from November 2010 and Stuart Radnidge’s article from today) and based on the discussions last week VMware are clearly aware of this too. It’s probably not a big secret that a new version of vCenter is in the works. The projected release date is supposed to be though even though there are “subtle” hints all over the place! People can debate the changes until they are red in the face but vCenter doesn’t represent the entire management stack and it’s not the bit that really excites me. vCenter was great when everyone had one virtual datacenter and they were virtualising their server workloads. It did a good job when additional virtual datacenters came along to support BCP and DR but the cracks were beginning to show. In spite of Linked vCenters the limits of the technology were being pushed as the feature sets and consolidation ratios grew. Even with the various plugins, APIs and bolt-on applications that are available for vCenter you’re still left with a piece of software that was intended to do a fairly simple job: centrally manage a virtual datacenter. Don’t get me wrong, I’m not knocking the plugins and bolt-ons. Many of the big vendors (EMC are a perfect example here) have made some brilliant enhancements to vCenter in their efforts to centralise and integrate virtual infrastructure management. Whilst the aim of creating a single pane of glass or a single tool to manage everything is a good one, the tool that is being used to do it isn’t completely up to the task. Last year, vCloud Director was launched with the aim of enabling organisations to better manage their virtual infrastructure both in the datacenter and in the cloud. Yes, I said the “c” word. Love it or hate it, when it reaches CxO level and becomes a term that they’re happy to throw around then it’s here to stay. VMware never intended vDC to replace vCenter, at least not yet. Excellent product that it is, it leaves some doors yet to be opened and it is my opinion that this year will see that begin to happen. vDC is just the first step in VMware’s journey to complete their management stack with a design being pushed down from the top of it. What about the hypervisor? What’s going to happen to that? Well, it’s a very mature product. There will be developments of course but I wouldn’t expect anything significant this year unless it is to support a feature driven from the management layer. Think about it, one of the biggest additions when vSphere was introduced was the distributed switch. Although the individual hosts support and implement it, vDS configuration is driven and controlled by the management layer – vCenter. Of course other hypervisors exist and it would be remiss of me to ignore them completely although the focus of this article is intended to be about VMware management software. Simply put, they have a way to go yet. In my opinion VMware is peerless at the hypervisor level. Comparable or alternative features are just missing and this goes for the respective management stacks as well. Microsoft and Citrix may well be keeping some cards close to their chests, I wouldn’t rule it out but it would have to be something stellar to catch VMware in terms of feature parity and I can’t quite see anyone knocking them from their virtualisation throne this year. And the thing that will make that all the harder will be the strength of VMware’s management stack. I believe that Management will continue to be the key differentiator in the virtualisation market this year and it’s where all of the action will be.